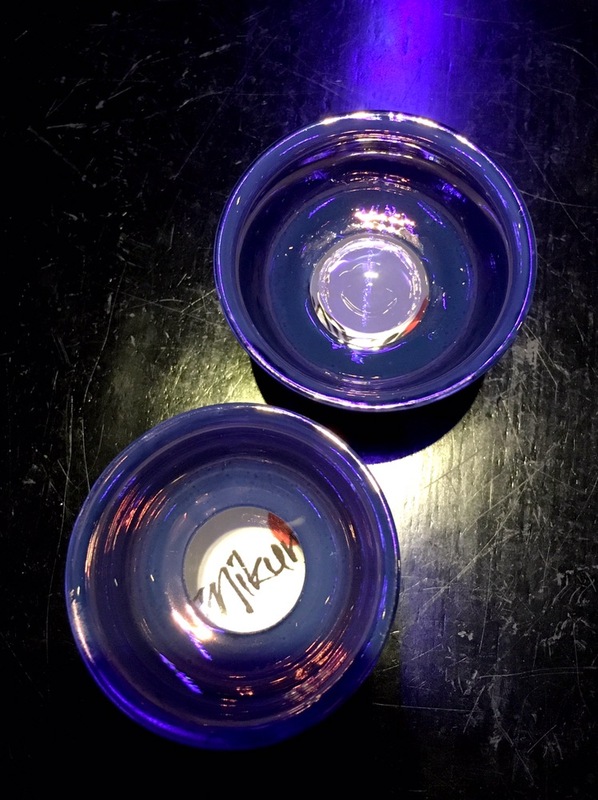 It’s been more than 6 months ago since we last visited Mikuni for lunch and dinner. We are back to have our favorites and also try other dishes. It was a weekend and most tables were occupied. 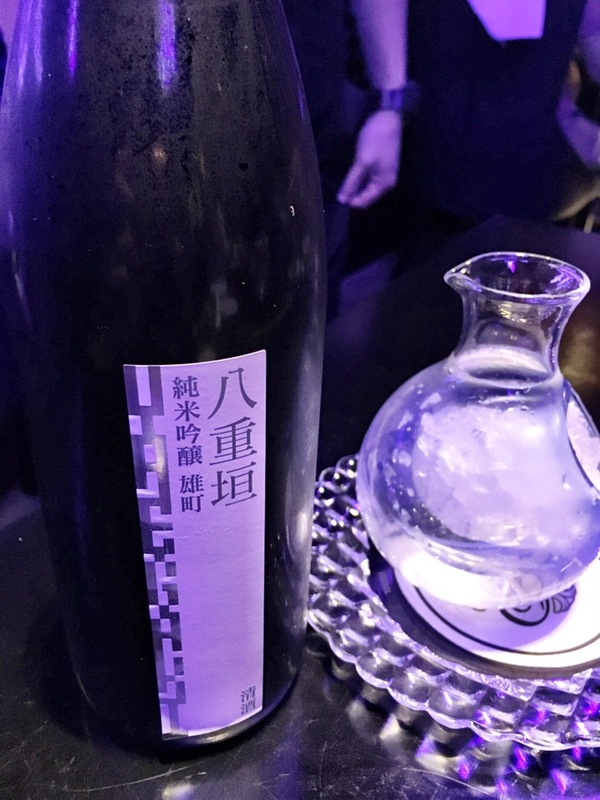 We started with some sake (yaegaki omachi junmai ginjyo $60 for a carafe). The sake went well with most dishes and we were pleased with it. It was served with interesting sake glasses. Only when there’s sake in the glass could we see the restaurant’s logo at the bottom. 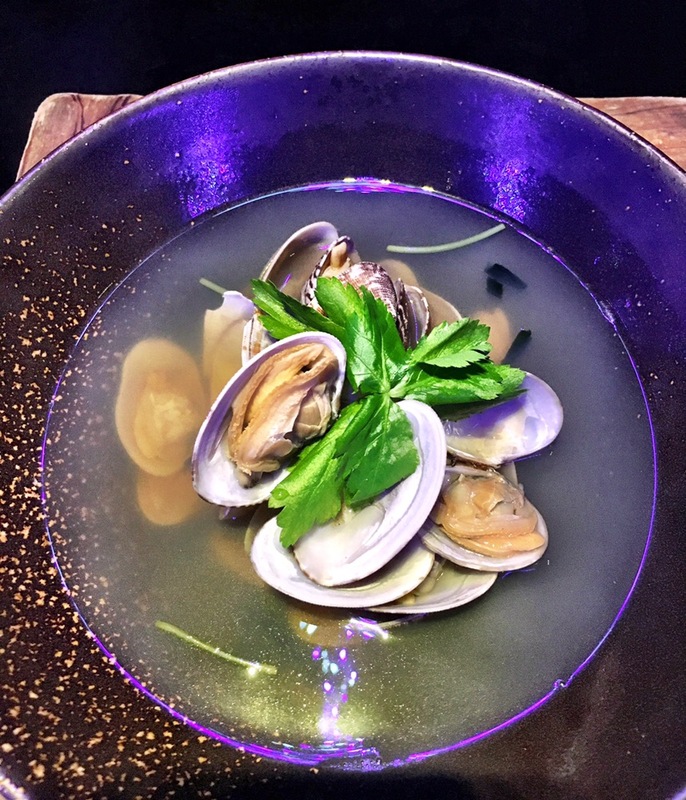 We tried the Kyushu asari clear soup $28 – the ariake clams were plenty and the soup had a slight smoky taste which I liked. Tasty yet light, unfortunately some clams had sand which was a little disappointing to the otherwise perfect dish. 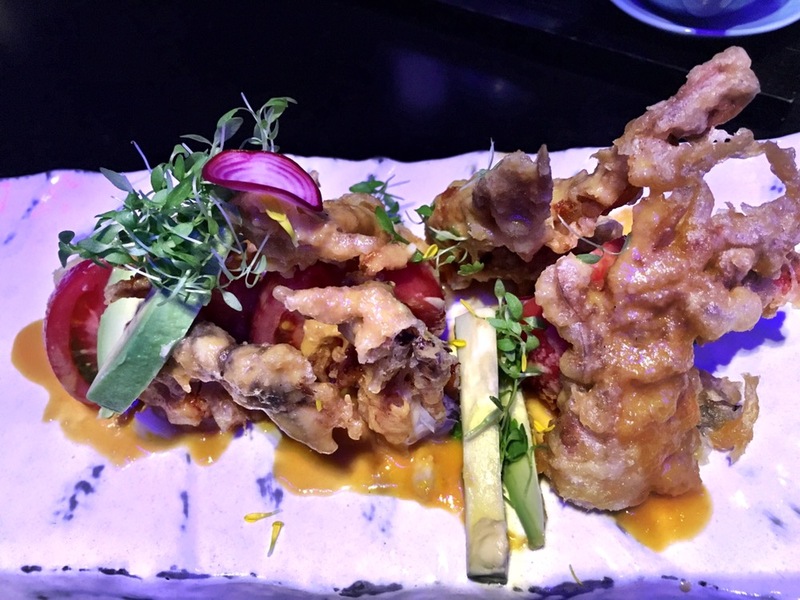 Age watari Kani salad $25 – soft shell crab tempura, Kumamoto tomato, avocado, white sesame dressing. This dish was delicious. Crispy soft shell crab, creamy avocado and dressing with refreshing tomatoes, Yums! 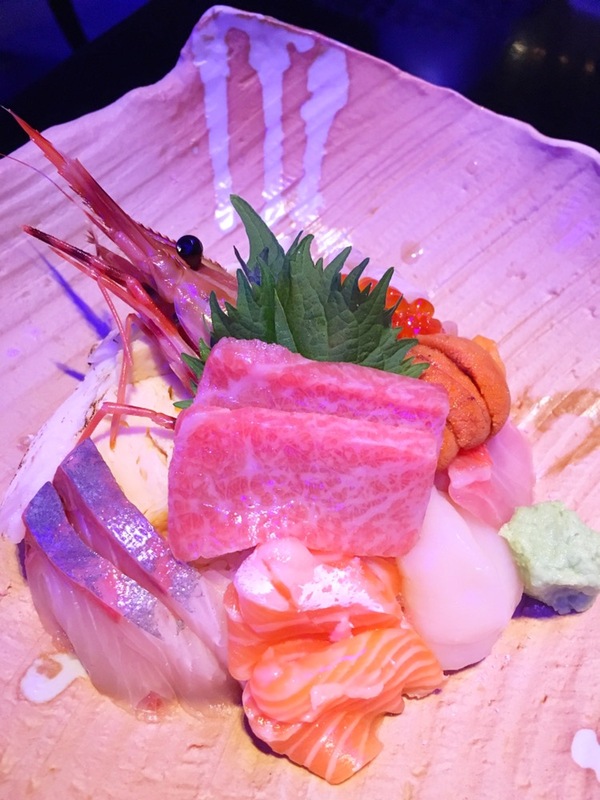 once again, one of our favorites, mikuni chirashi $90 – never disappoints. Fresh and generous seafood atop perfectly cooked rice. 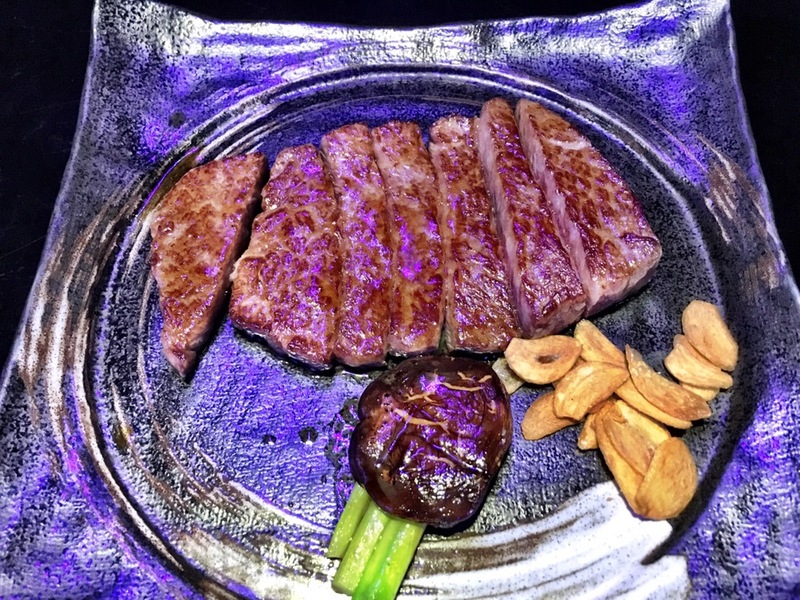 Another of our favorites was the Wagyu sirloin 200g $175 – medium doneness was optimum to enjoy this delicious piece of steak. The portion was just right for the both of us. Any more we may not be able to finish as the marbling score was quite high. Teppanyaki lobster $48 – was nice but the sauce was too much and too rich. 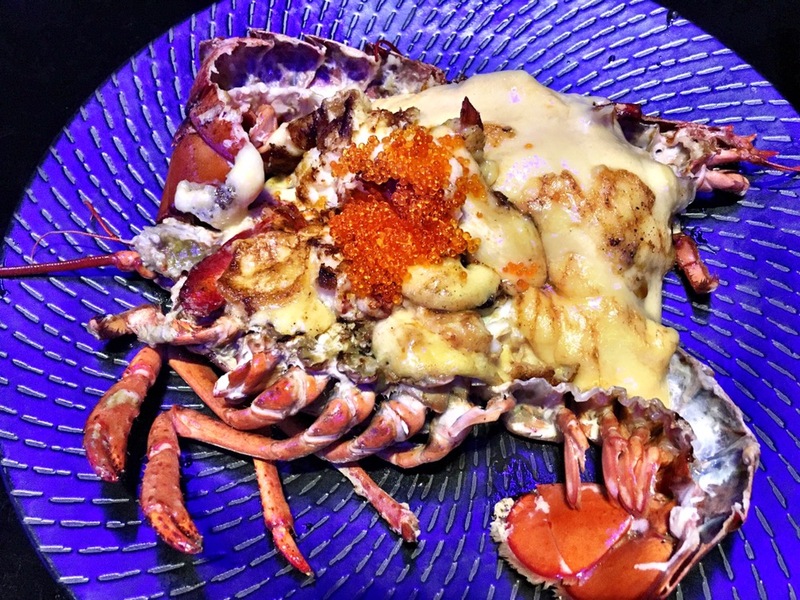 We would’ve preferred if there was lesser or no sauce and could have been served with just light seasoning to taste the sweetness of the lobster. 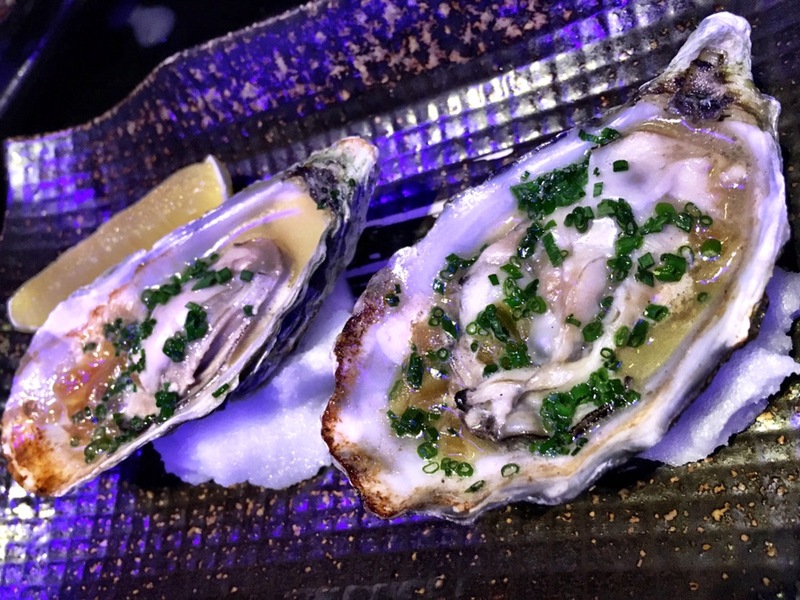 Oyster with citrus butter $25 and Hokkaido scallops $32 were quite disappointing. By the time these came, we were stuffed. I did not think they were exceptional and I was not expecting them to be served with so much liquid. They just did not go well with us. We should have stopped at the lobster dish which was just enough for the both of us. 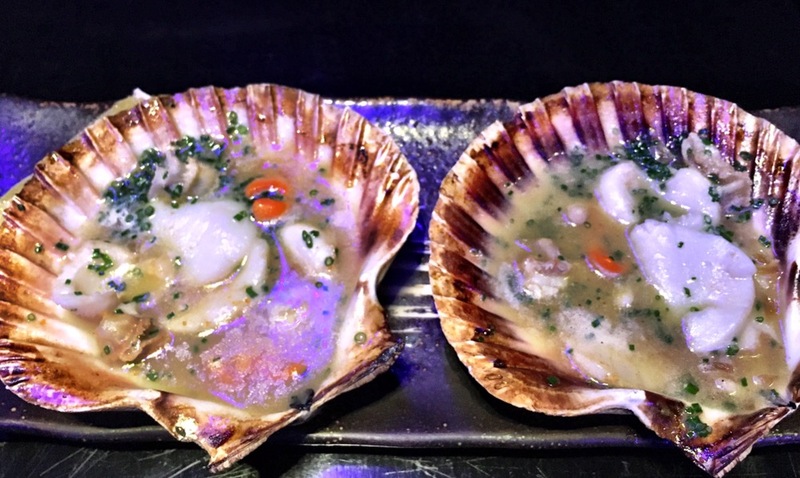 Maybe that’s why we did not enjoy the oysters and scallops. With the feed at raffles card discount, our meal came up to about $285 inclusive of tax and service charge. 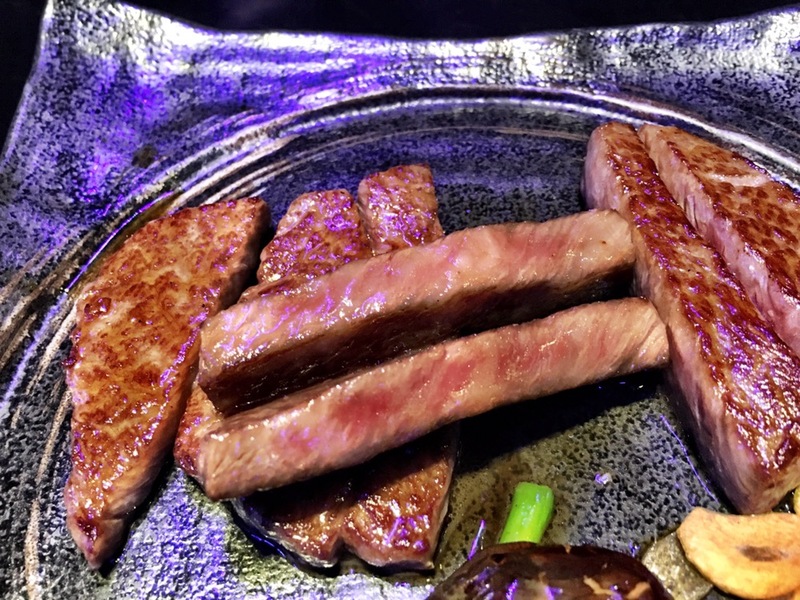 It may be some time before we revisit Mikuni again… Till then, we’ve enjoyed the meal.